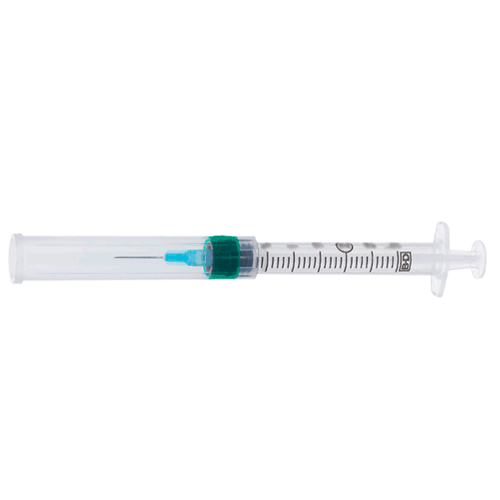 5 mL Syringes with Needle are used for medical injections. 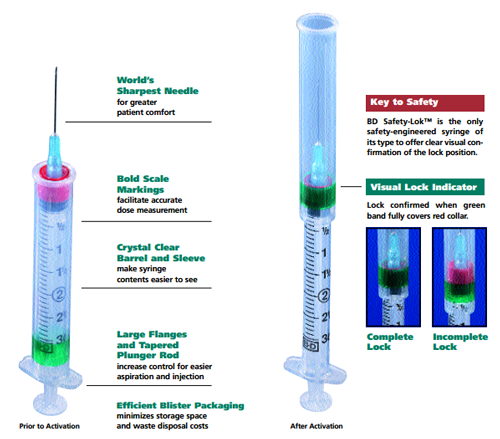 5 mL Syringes accurately measure doses of liquid medicine up to 5 cc. Manufactured by Becton Dickinson, these Syringes with Needle are available with a clear barrel to allow greater accuracy for measuring dosages. 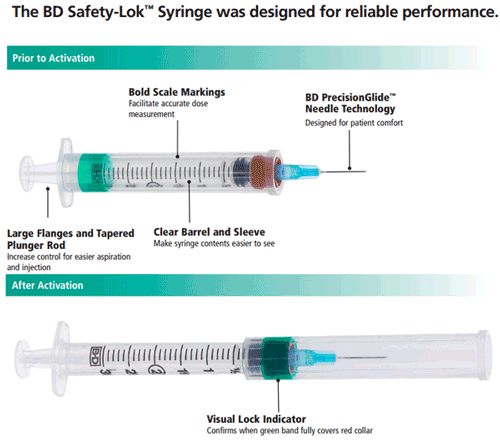 BD Syringes feature easy-to-read scale markings in bold print. 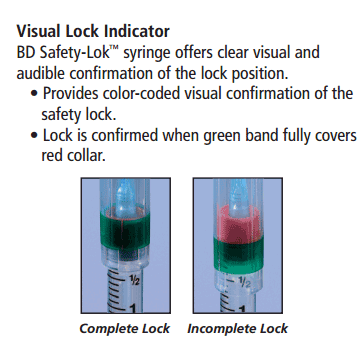 These Safety Loc Syringes have a Luer Lok Tip and an attached needle. These BD 5 mL Syringes come with needles 1-1/2 Inch long. Becton Dickinson 5 mL Syringes with Needle are single-use syringes and needles. 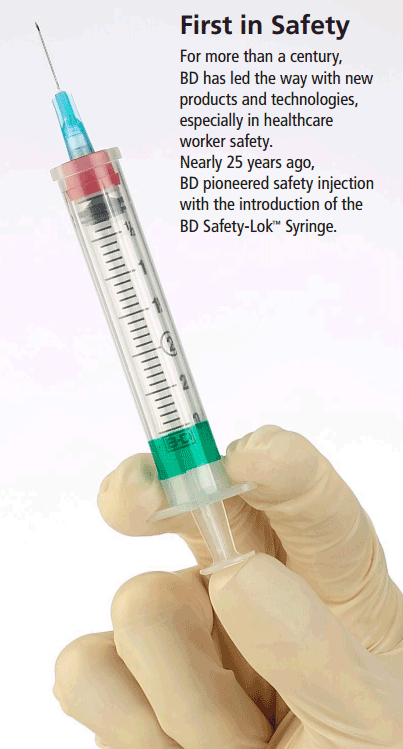 BD 5 mL Syringe with Needle Product ID Numbers: 305561, 305907, 309630, 309631, 309632, 309633, 309635. Needle Gauge Options: 21 Gauge. Needle Length Options: 1-1/2 Inch. 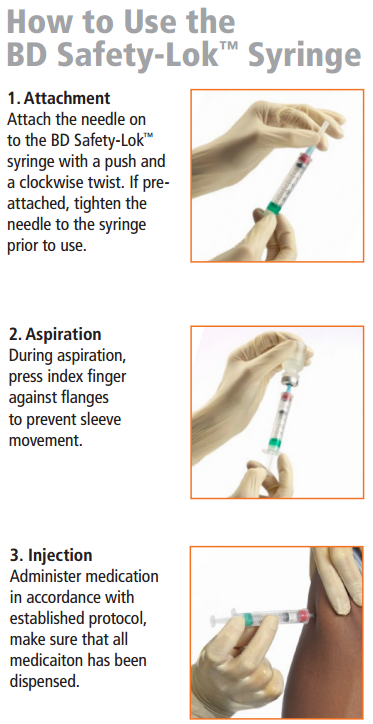 Application: Hypodermic Syringe with Needle requiring a prescription from a doctor. Syringe Tip: Luer Lok Tip. Syringe Capacity Graduations: 1 mL increments. Needle Point Style: Regular Bevel. Safety Feature Options: Safety Loc.